We relate aspects of discontinuous cardiac activation to the mesoscale myocardial structural feature of interlaminae clefts or cleavage planes. 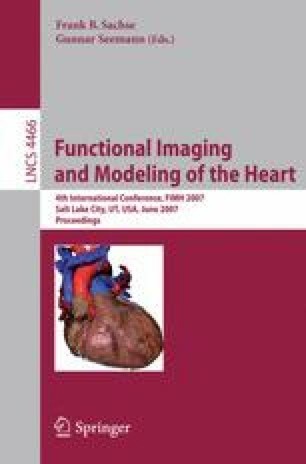 Specialized numerical and computational procedures have been developed for modeling cardiac activation which accounts for detailed myocardial geometric structures derived from specific tissue samples. This modeling allows both study and analysis of the effects of cleavage planes and other structural barriers to myocardial current flow. The results show that mesoscale discontinuities significantly affect the formation of virtual electrodes, and can result in discontinuous activation with midwall pacing.